During a fund-raising tour of the United States, after a State visit with President Richard Nixon in 1968, Golda Meir was asked, "How was it possible for Israel to defeat all those Arabs in 1967 in just six days?" "It was our army," she replied. "It was the way we were organized. Our reserves saved the day." "First," she explained, "we called up all the doctors and trained them well. Then we called up all the dentists and trained them well. Then we called up all the lawyers and trained them well. 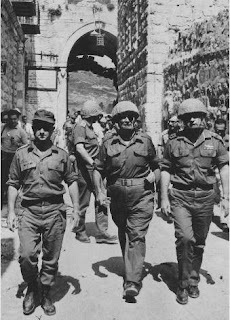 Then we called in our Minister of Defense, Moshe Dayan, and he gave the order: CHARGE! -- and boy, did they know how to charge!"